It’s critical to get feedback from the stakeholders of your business—customers, employees, members, business partners, and more. Whether you are conducting a telephone survey, doing in-depth customer interviews, or taking the pulse of your employees, you’ll learn how to prepare questions, run the program, and use the information wisely. Read one rule a week—or all 52 at once! Feedback Rules! 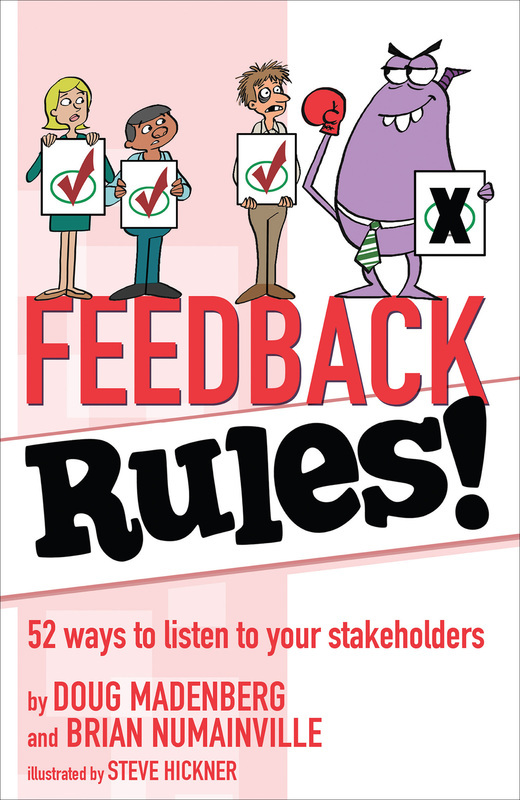 is your guide to listening to your stakeholders. "​Great tips and helpful ideas for retailers that want to listen more attentively to their customers and employees." "A fresh and entertaining reminder of the importance of making feedback ​an essential part of any corporate culture."